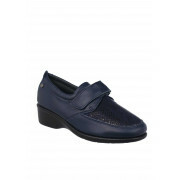 Keep comfortable all day in the Amazon leather shoes from Flex & Go in navy. 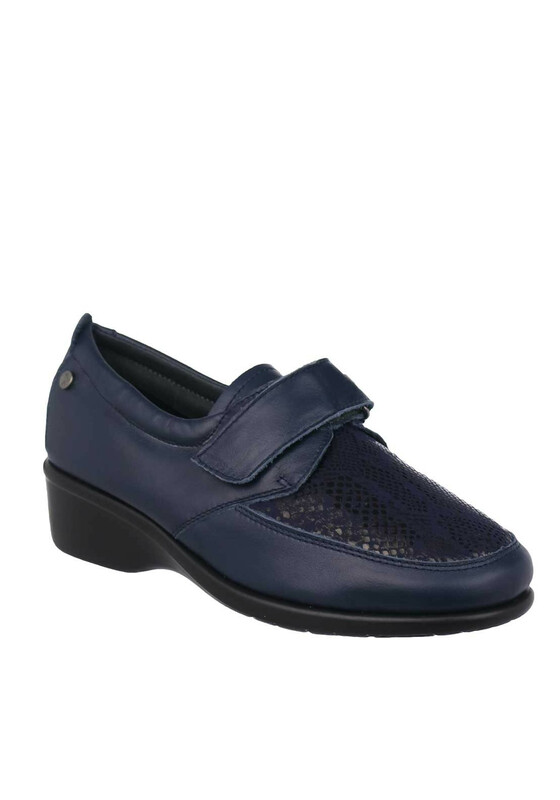 They offer a non-restrictive natural walking experience, allowing joints in the foot to work together and offer cushioned protection on sensitive areas of the feet. 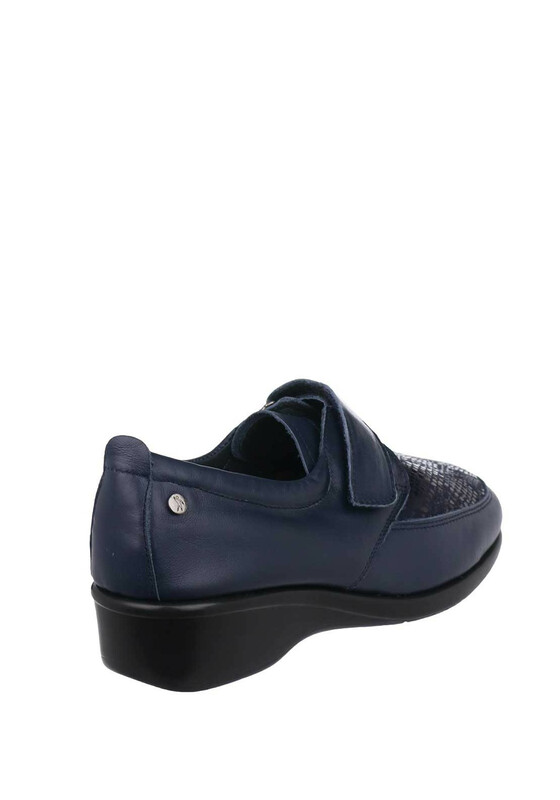 The perfect pair for those who spend the day on their feet with a thick rubber flexible, shock proof sole. 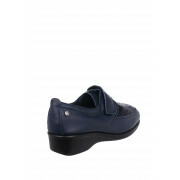 The reptile design adds texture and a Velcro strap ensure a secure fit. 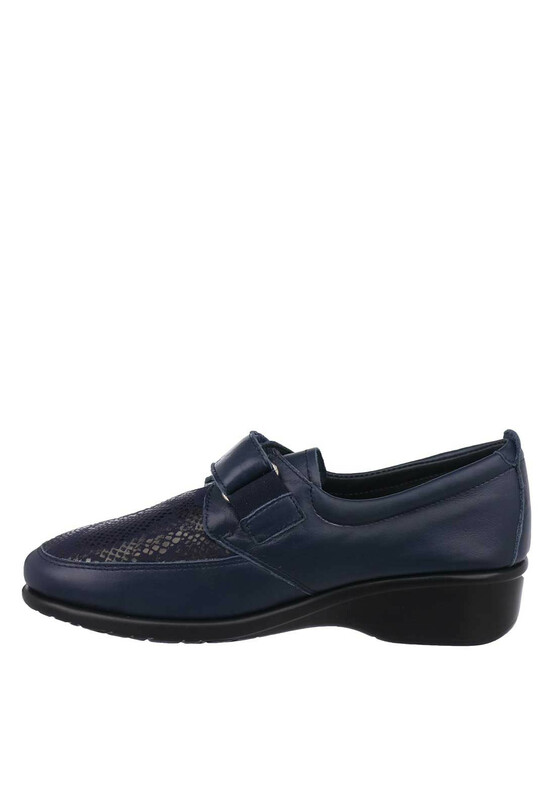 Materials: Upper- Leather. Lining- Leather. Sole- Other Materials.